With upcoming summer holidays and family events right around the corner, I wanted to share a topic that has been on my heart lately and one that I truly believe we all struggle with as women and mothers. Ready for it? Comparison + Motherhood…. Let’s dive in! Wait! Before we get stared! Remember! You can listen in to this blog post (in fact I highly recommend it! By downloading and subscribing to The Blossoming Mommy and Baby Show on your podcast app! )… and a special shoutout goes to this week’s FREE-RIDE WINNER, CHRISSY! Congrats, Momma! Tune into the show to learn how YOU can be entered to win inside BMAB Free-Ride weekly contests! 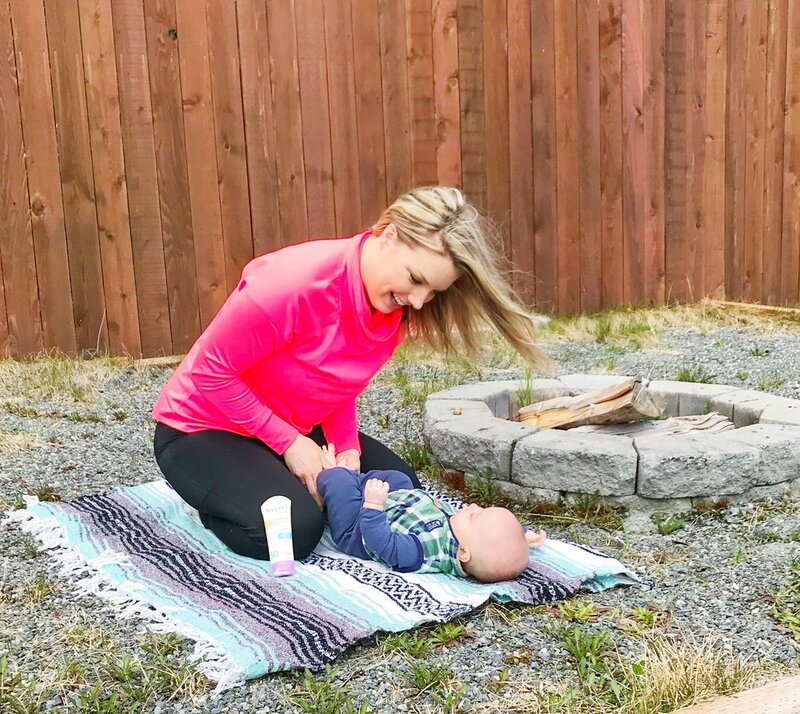 While I truly believe in social media and its power to reach, educate, bless, and connect millions of Mommas like you and I, I also believe that it can be used in a way that can be detrimental to your health and wellbeing if you’re not careful. Mommas I want you to honestly take a step back from social media and put on your BMAB goggles. Evaluate WHO you are following and WHY you are following them. Do you feel like you constantly are comparing your life and journey to others only to feel defeated, judged, discouraged, sad, or maybe even angry afterwards? If so, let me remind you- you have the power to UNFOLLOW. Don’t get caught up in obsessing over other women’s highlight reels! It’s important that we connect with those that are inspiring to our lives, not those that cause us to constantly feel bad. So… if you’re caught in comparing, do a social cleanse. Trust me, you’ll feel incredible after doing so Plus… it’s not fair for you to compare your chapter to someone else. This is your life + your story. Honor it, sweet girl! Whose story are you living? If you constantly live in a state of comparison… always wanting what your neighbors, mom tribe, or random strangers on social media have, you truly are missing out on YOUR OWN STORY! Whose will you be living? Don’t waste your motherhood journey in a constant state of comparison, my loves! I want you to refocus that energy to your great blessings- your children, your home, your health, your husband, GOD, and your ability to live your BEST life by taking care of you. You’re not organized enough. Your house is too small. Your kids are misbehaved. You didn’t meal prep this week. Your body is spilling over your jeans. You forgot to take your bubble bath this week. You want to homeschool your kids……. Mommas, STOP. You ARE ENOUGH! If you’ve ever had these thoughts, questions, or frustrations swimming through your mind, allow me to remind you- you have the ability to live confidently and make the BEST decisions for YOU and YOUR family, without worrying or comparing your choices, rhythms, or routines to others. Reality Check: You have gifts that no one else does. You have children that no one else does. God has equipped YOU with your journey, no one else. Rise up. Recognize your role. Stop living the dream of wanting to be somewhere or someone else. This is on you, boo. You’ve got this. Compliments? Likes? Shares? Can I get real honest with you? We (as humans) LOVE praise. We love attention. We LOVE to be recognized. And while that’s totally fine, when it’s not okay is when it becomes your driving force of your day to day actions and thoughts. Take a good look at your heart this week, ladies. Make sure your intentions are pure and your attitude is healthy. YOUR DRIVE should not be based on the opinions or values of other people, remember that! Have a wonderful week, Mommas! I hope this post + podcast truly inspired your heart! If it did- please share with a fellow Momma and let me know in the comments below or over on INSTA what you struggle with most as a Mom! Don’t forget to catch this blog in audio form over on our podcast show, Blossoming Mommy + Baby! DEFINE the life you want to have - Stop Procrastinating TODAY!